The Anderson brothers are rock (climbing) legends and have some of the best training information available on the topic. Both Mike and Mark have numerous climbing achievements under the collective belts and also have the research smarts to back up their comprehensive training manual. It was actually the emphasis these guys put on recording training data that prompted me to create the training tracker and it all started with the beginner fingerboard training program. Luckily the guys have been good enough to publically share some of their wisdom, including the beginner fingerboard program from their book. 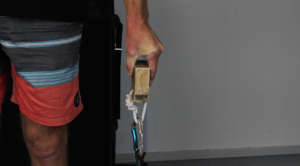 This workout involves 2 arm repeater hangs and is a good introduction to fingerboarding (it induces a killer pump at the same time). For all the details and to buy their book, you should visit their website. Mark and Mike suggest that beginner training should start once you are climbing 5.12a/7a+ sport routes – or bouldering roughly V4. I used this program when I first started hang boarding and found it to be pretty solid. 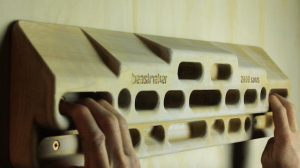 In fact, isolating middle 2 and back 3 could be a bit tough for a beginner climber at this level. 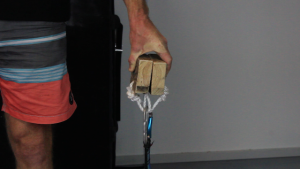 I was probably bouldering grade V6-V7, so quickly started adding a bit of weight for some of the grip variations, if you decide to do the same be cautious! I’d highly recommend just trying to get a feel for things first and work on good technique by engaging your shoulders and feeling secure on your grips. It is worth pointing out that the guys primarily reference their own fingerboard, the rock prodigy, which does have pinch grips. 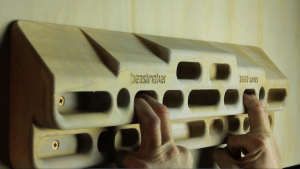 If you are using a different fingerboard (like the Beastmaker shown in the pictures), you can get around this by using some pinch blocks (Steve Maisch describes these very well). 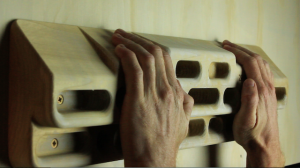 Alternatively, you can choose a different grip to train instead. 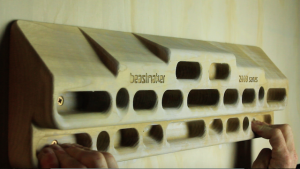 Each grip is held 10 seconds on, then 5 seconds off for a total of 6 repetitions. Rest 3 minutes between each grip set and complete all 8 grip variations for a session that should last around 37 minutes in total. For a beginner fingerboard program, 2 times per week is plenty. Make sure you are getting plenty of rest after each session and don’t hang from your fingers if you are overly tired or sore. Give this program a run for 4-6 weeks and your fingers will be ready to pull down harder than ever before!